Needless to say, things have been a little quiet around here, but I am so excited to be back and sharing a new recipe with you today. While I didn't intend on taking a break from blogging, it was nice to take a little time to reevaluate my goals and recharge creatively. I knew when I started this blog, that I didn't want it to become something that stressed me out, but rather a place to catalog some of my favorite recipes, push myself creatively and share bits of inspiration. So far I have accomplished many of those things and I often think about how far I've come since the day I started this blog and the things I've learned along the way. Eventually, this past year I began to realize that I needed to start thinking about the next chapter and about my creative and professional goals.While that's never easy, it was very necessary. Although, I'd like to say I have everything all figured out, I need to realize that sometimes you don't know where you're going until you get there. All I know is that I enjoy this space and as long as it stays fun, I'd like to stick around and play! 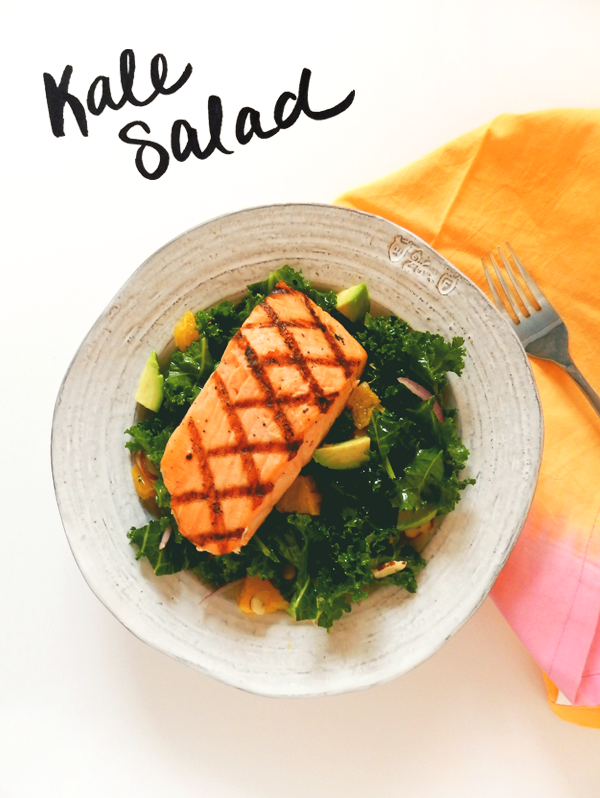 Anyways, today I am sharing a recipe for a Citrus Kale Salad that I adapted from here. I love that this salad is super easy, while also being super healthy. Can't go wrong there! Try it and let me know what you think. 1. First, make the dressing. 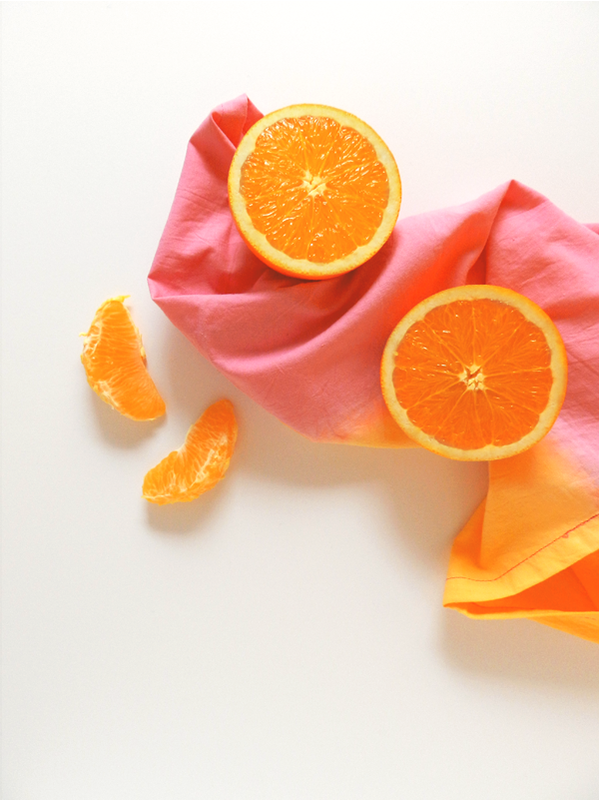 Combine the juice of one orange with the olive oil, apple cider vinegar and a pinch of sea salt and pepper. Whisk or shake until very well combined. Set aside. 2. To assemble the salad, peel the other orange and separate the sections (peeling off the white pith as best you can). 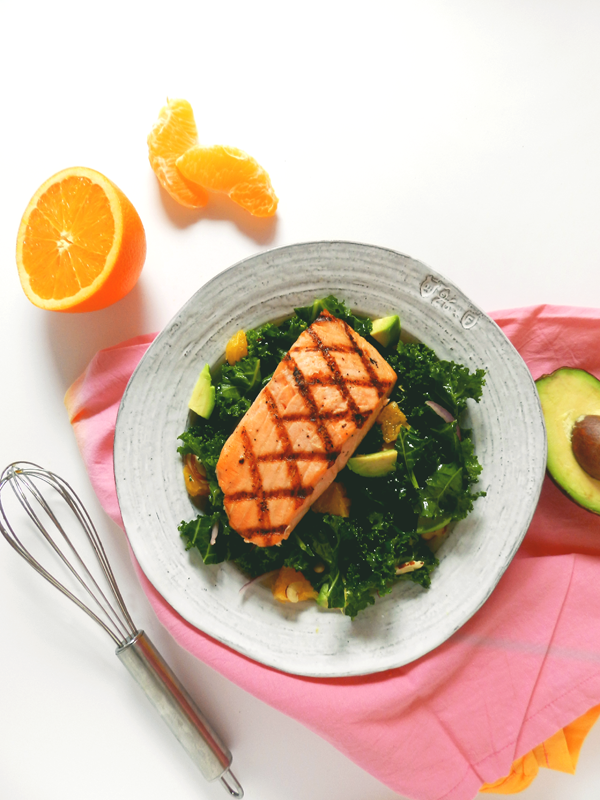 Chop orange sections roughly and place in a bowl with the kale, chopped avocado and almonds. Enjoy now or stick in the fridge and eat later (this salad will stay good for a couple days in a covered container in the fridge). Dressing will stay good in a sealed jar for a about a week.